In 2015 the US Federal Aviation Administration issued 1000 drone permits. The next year, aviation consulting firm the Teal Group estimated that almost two million consumer drones would be sold in the US during that 12-month period alone. Needless to say, the multipurpose flyers have gone mainstream. Here’s the heads-up on four new models, matched to specific purposes, so you can be sure to land the right one. No matter what form your next land-based adventure takes, chronicle the journey with the new Skydio R1(around $3950). Capable of recording more than 90 minutes in 4K definition or 4.5 hours in 1080p, this space-efficient drone can launch from the palm of your hand and fly up to 40km/h in several modes, supported by advanced AI-driven follow technology that helps it autonomously avoid objects in dense environments. Consider yourself at the video vanguard? Then the DJI Mavic 2 (around $2500) is the drone for you. 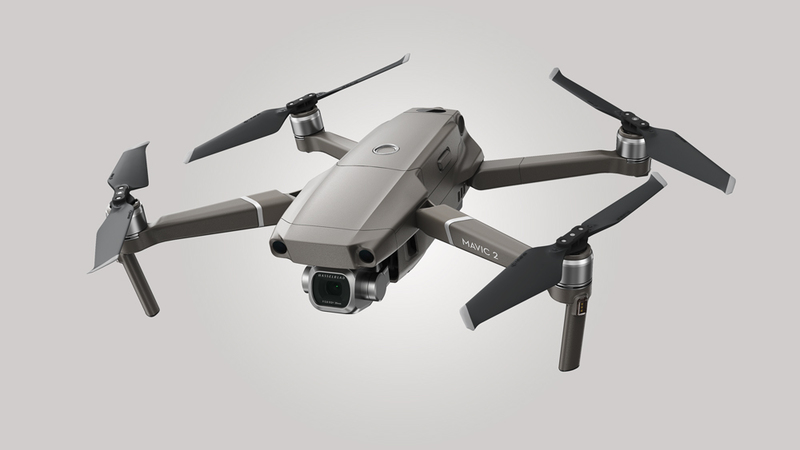 Engineered in partnership with Hasselblad—whose cameras recorded the moon landing in 1969—the Mavic 2 features a camera that captures 20-megapixel aerial footage. It’s also equipped with a 10-bit colour profile system that can record more than one billion colors and captures in-depth details in dimly or brightly lit spaces. 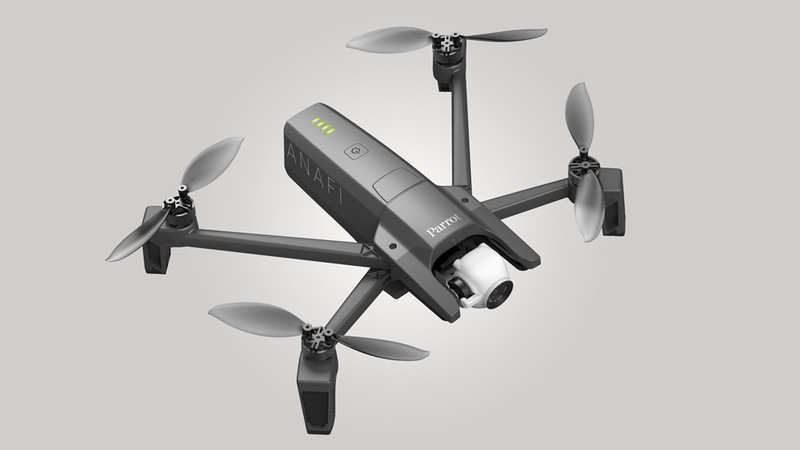 Ultra-compact, photo-focused drones like Parrot’s Anafi (around $1099) have relegated selfie sticks to the pop-culture scrapheap alongside Beanie Babies, MySpace, and Pokémon Go. The drone features a 4K HDR camera that can zoom to almost three times magnification without negatively impacting the resolution quality, and a gimbal that can tilt 180 degrees for unique, low-angle perspectives. 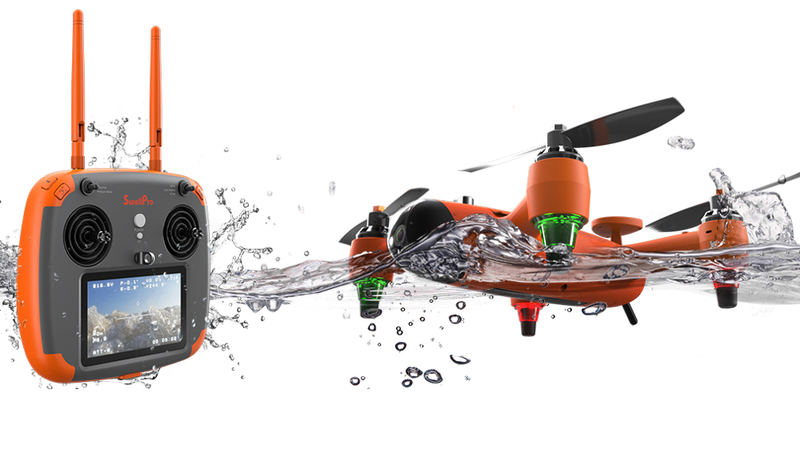 Combine the latest built-in movement algorithms with a buoyant airframe and waterproof casing and you get SwellPro’s new Spry (around $2300), a drone purposed for harsh marine elements. The Spry is equipped with specially coated motors and corrosion-resistant materials, and it features a polycarbonate dome that protects the device’s 4K camera, offering transparency without distortion. The two airlines are making their mark on the Airbus A350.